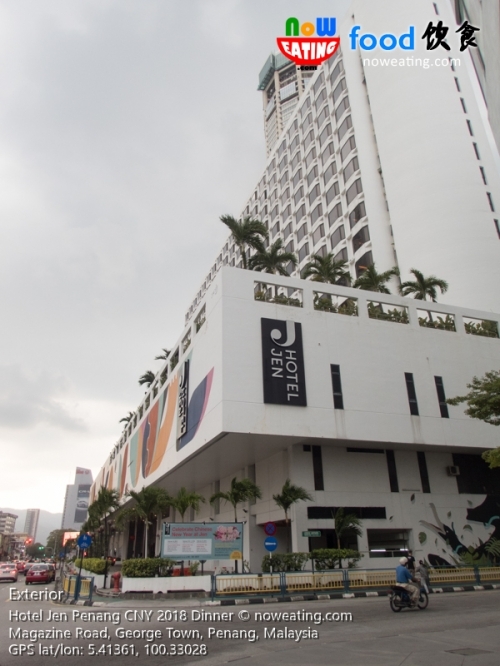 Hotel Jen Penang was undergoing major renovation in year 2017. Today, the interior, especially the lobby, has a brand new look with designer sofas, modern chandelier, and checker box floor tile to name a few. We arrived early during the Chinese New Year course meal preview session and we took this opportunity to try on their new sofas. It was almost the time and we walked into Cafe Jen, just to be blown away with another breathtaking view of the main eatery in the hotel. 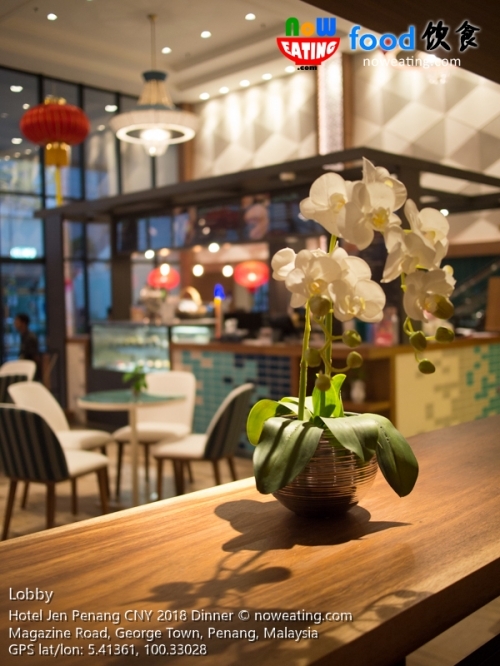 Instead of the usual classic look, the dining area is now more lively, elegant, and stylish. 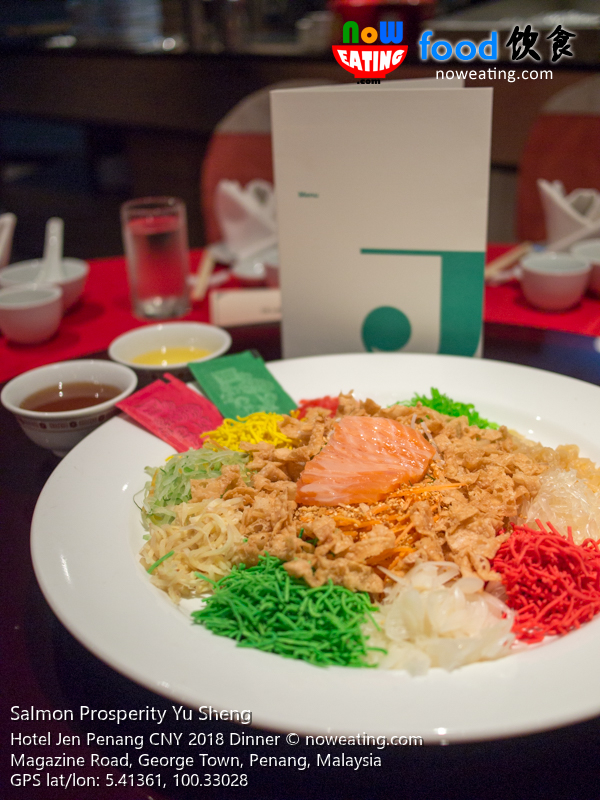 In conjunction with upcoming Chinese New Year, other than buffet dinner, course meal is also available in grand ballroom (Pinang Ballroom at Level 3) with live entertainment of mask changing show, lion dance and music live band. 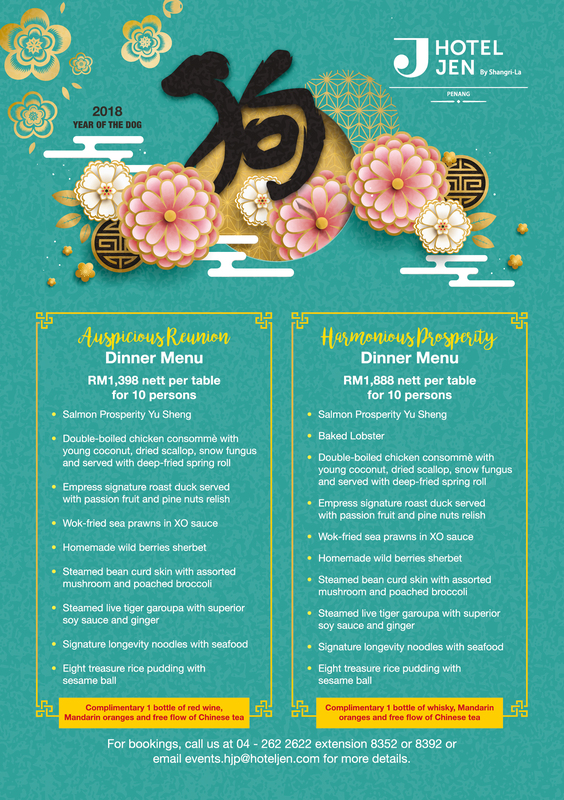 The course meal is available on 15-February-2018 from 7pm to 11pm with price starting from RM1,398. 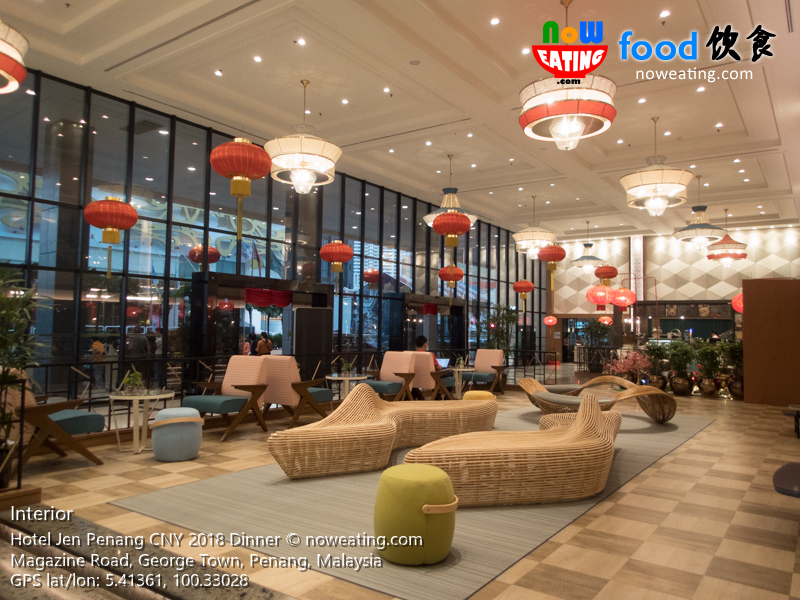 What’s more, guests will have an opportunity to meet and greet God of Prosperity and even win FREE Shangri-La and Hotel Jen stays. Other attractive lucky draw prizes await. Two sets of course meal are available: The RM1,398 Auspicious Reunion Dinner and the RM1,888 Harmonious Prosperity Dinner. It was our honor to sample the latter one during our preview session and we strongly recommend our readers to do so. 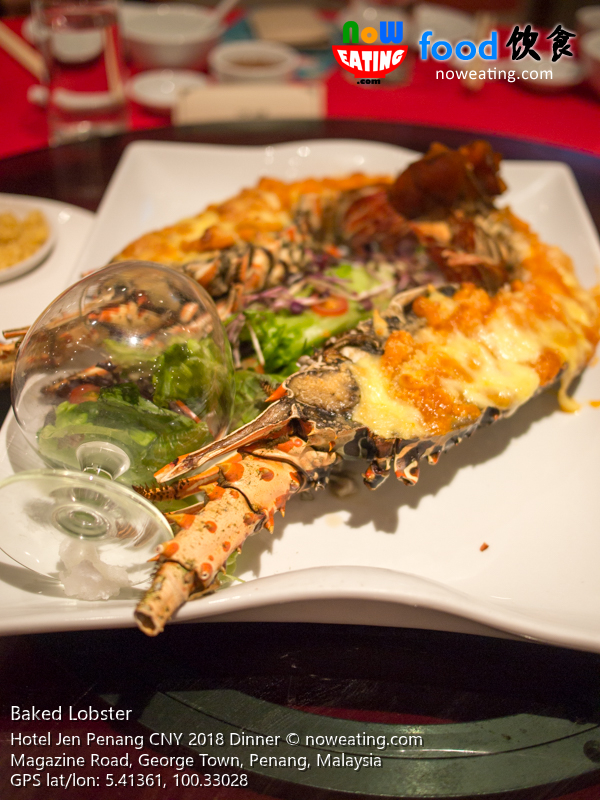 In general, both sets are identical except the RM1,888 one comes with Baked Lobster. When was our last time having lobster during Chinese New Year? 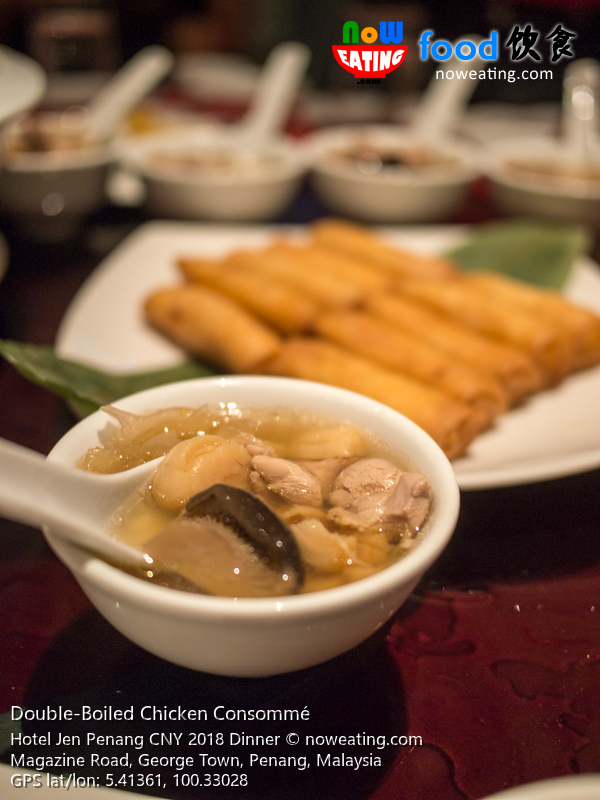 Double-boiled chicken consommé with young coconut, dried scallop, snow fungus and served with deep-fried spring roll – Instead of traditional chicken herbal soup with slight bitterness from herbs, Hotel Jen Penang’s version has added sweetness from young coconut – a fusion of Chinese desserts and herbal soup. Empress signature roast duck served with passion fruit and pine nuts relish – Who said roasted duck must be accompanied by dark sweet sauce? 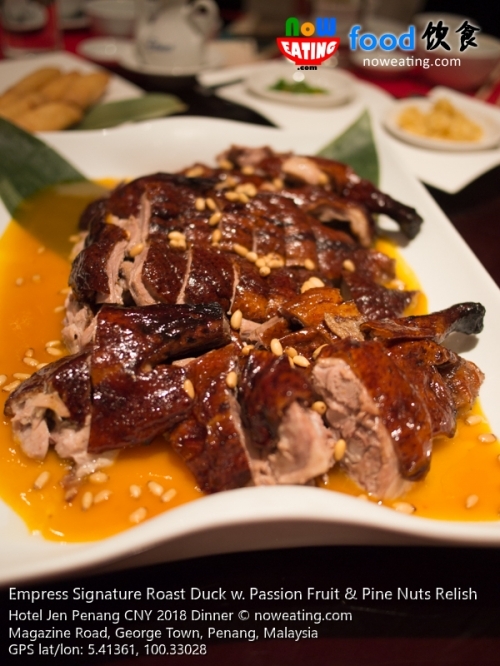 The chef broke with tradition by using tangy passion fruit sauce. Definitely a new experience for us. 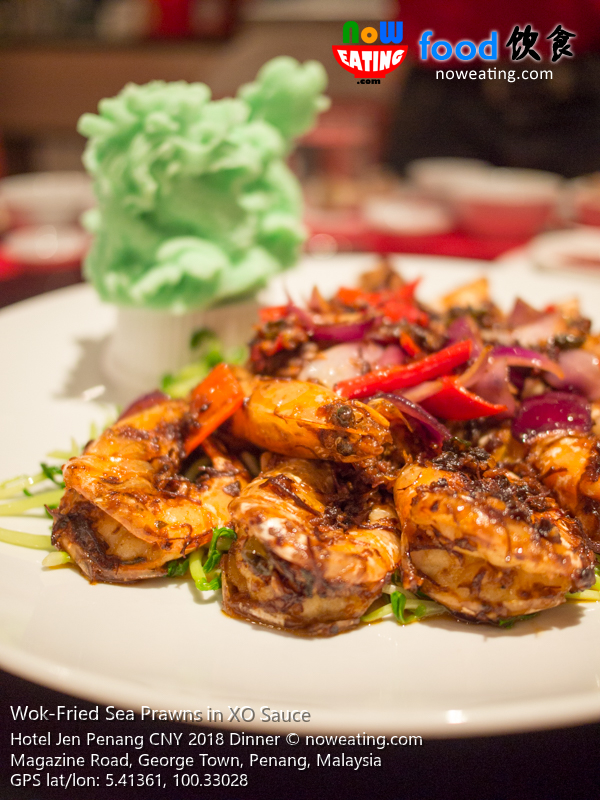 Wok-fried sea prawns in XO sauce – Beware of the burning sensation of the spicy seafood sauce originated from Hong Kong. 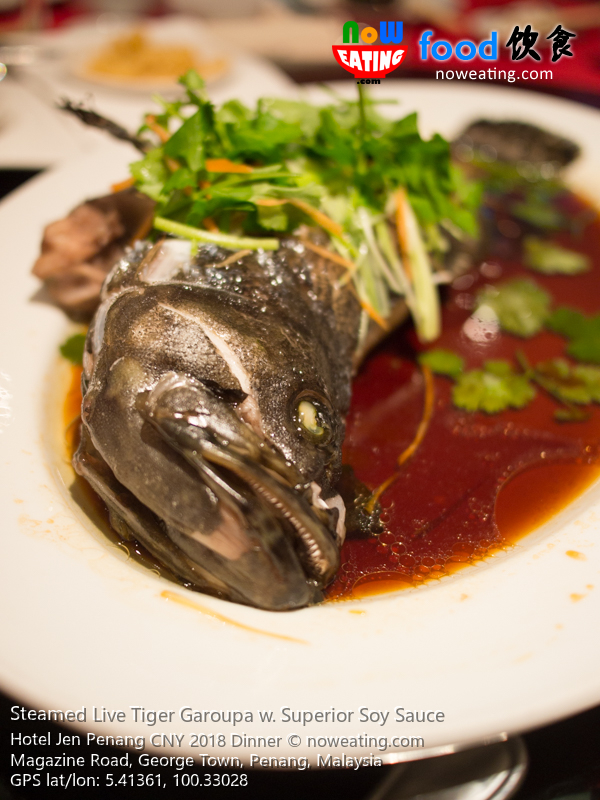 The chef definitely knew the next dish we were expecting after having spicy food. 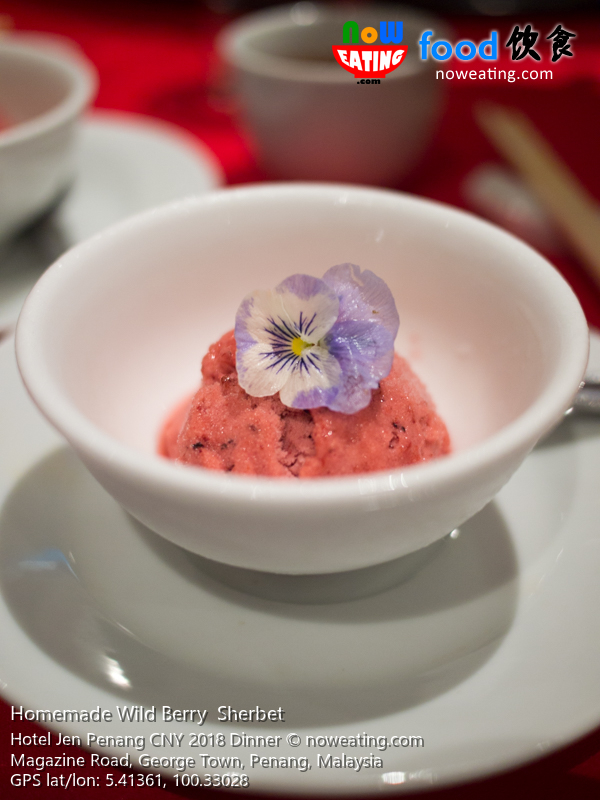 Usually only available for fine dining, palate cleanser such as Homemade Wild Berry Sherbet is definitely mind-blowing as long as Chinese reunion dinner is concerned. 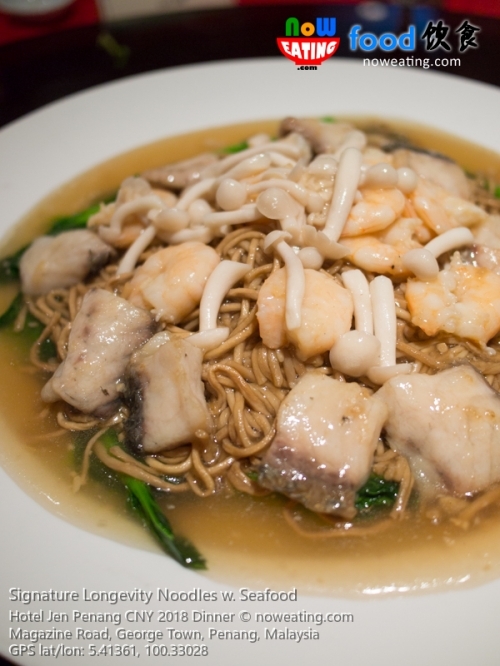 Signature longevity noodles with seafood – Noodle or rice dish in any Chinese course meal is usually served last and is intended to fill up your stomach. The chef, however, took it seriously by covering the noodle with generous amount of fish fillet and prawns. 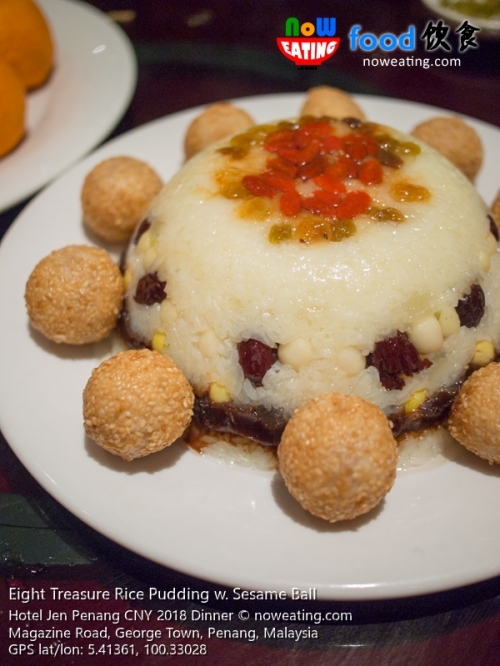 We ended our meal with sui generis Eight treasure rice pudding with sesame ball – a chef’s creation hardly found in any other restaurant. 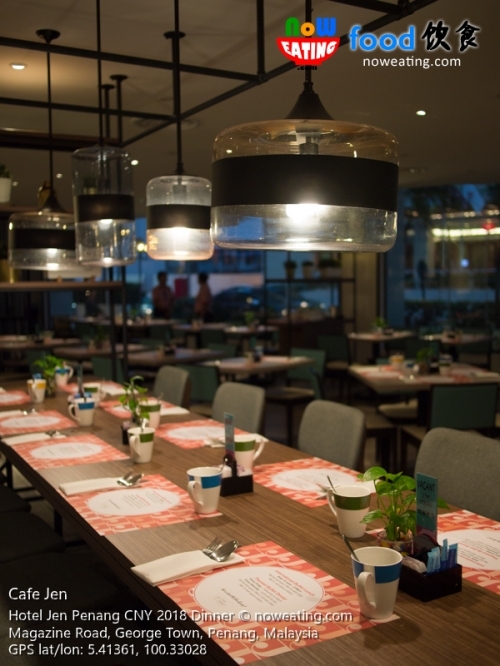 As a whole, we were impressed with chef’s creativity in offering distinctive dishes hardly found in any restaurant including the eye-opening baked lobster and sherbet. Auspicious Reunion Dinner comes with 1 bottle of red wine whereas Harmonious Prosperity Dinner comes with 1 bottle of whisky. 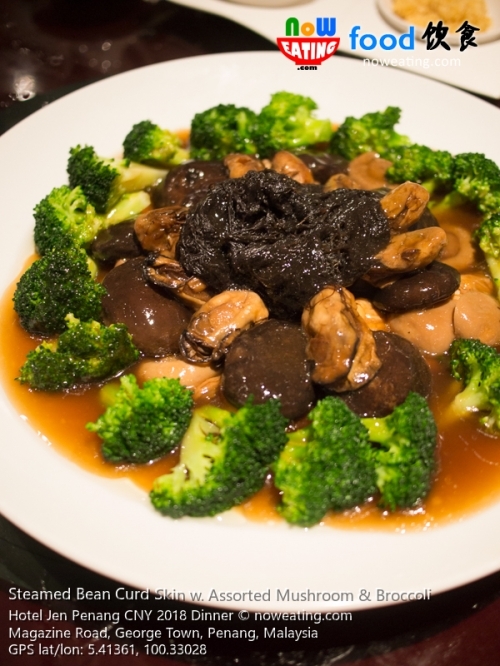 Book by 1-Feb-2018 to entitle for 15% early bird discount. For more information including reservation, kindly call +604-262 2622 Ext.8352/8392.